I know… all kids really need are some leftover scraps of paper and a pencil to “create,” but sometimes it’s fun to engage them with books that spark their imagination a bit. 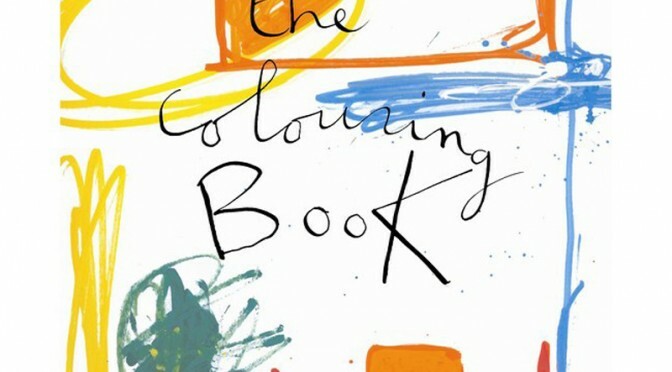 Here are some of my favorites coloring and drawing books–perfect for gift giving. 1. 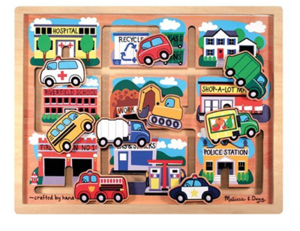 The Giant Play and Learn Book by Pascale Estellon. This colorful book has hours of playful activities that focus on letters, numbers, reading, writing, shapes, colors, sorting, counting, sequencing, matching, patterning, and grouping. There are also 250 stickers included. 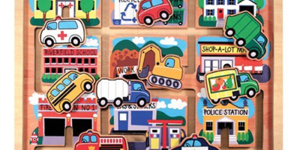 Some of the sticker pages encourage kids to decorate a dinner plate, create vegetable people, and match garden tools. Ages 3 and up. 2. Lots of things to find and color by Stella Bagott. This Usborne Activities book features mainly black and white drawings with instructions on each page to find something specific and color it in. For instance, on one page a child has to find the finished face in each row of monsters and color it in, and then, she can finish drawing the incomplete faces in the row. Some tasks are easier, like “color in all the spooky eyes” or “find all the striped fish and color them in.” There are maze, pattern, and matching activities as well. Perfect for a cartoon lover! Ages 4 and up. 3. Guido’s Great Coloring and Drawing Book by Guido van Genechten. I’m a big fan of Guido van Genechten’s books, so this book was extra special to delve into. The humorous drawing activities give kids opportunities to finish pictures, count, imagine, color, design, and study expressions. 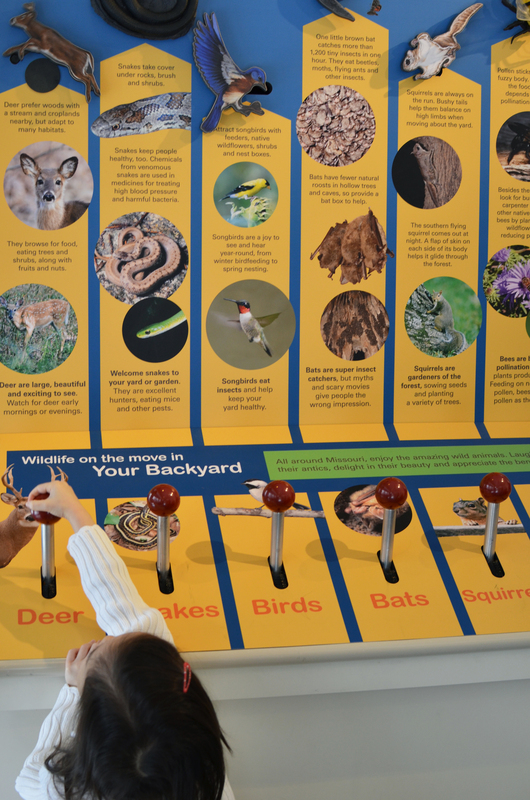 Some examples include, “add about 827 dots,” “make the tiniest drawing you have ever made,” “give this moose huge horns,” “draw the shark that is chasing this little fish,” “make this spiral as big as you can,” “we’re on Mars… draw the martians,” and much more. Ages 5 and up. 4. Let’s Make Some Great Art by Marion Deuchars. This book has more specific art concepts and introductory information about famous artists, but does so with a casual and entertaining approach. For instance, the section on Matisse’s cutouts has instructions on how to make a Matisse-inspired collage but then also features pages of Mattise cut out type shapes and asks the child to draw figures looking out of the “windows” or to turn the shapes into characters with arms and legs. Other artists presented in the book include Leonardo da Vinci (form, shading, upside-down drawing), Pablo Picasso (Cubism, African masks), Vincent Van Gogh (yellow ocher, color wheel), Magritte (Surrealism, dreams), and many more. There are also projects for younger children like fingerprint paintings, ink blots, collage, drawing with an eraser, and experimenting with lines. Ages 5 and up. 5. 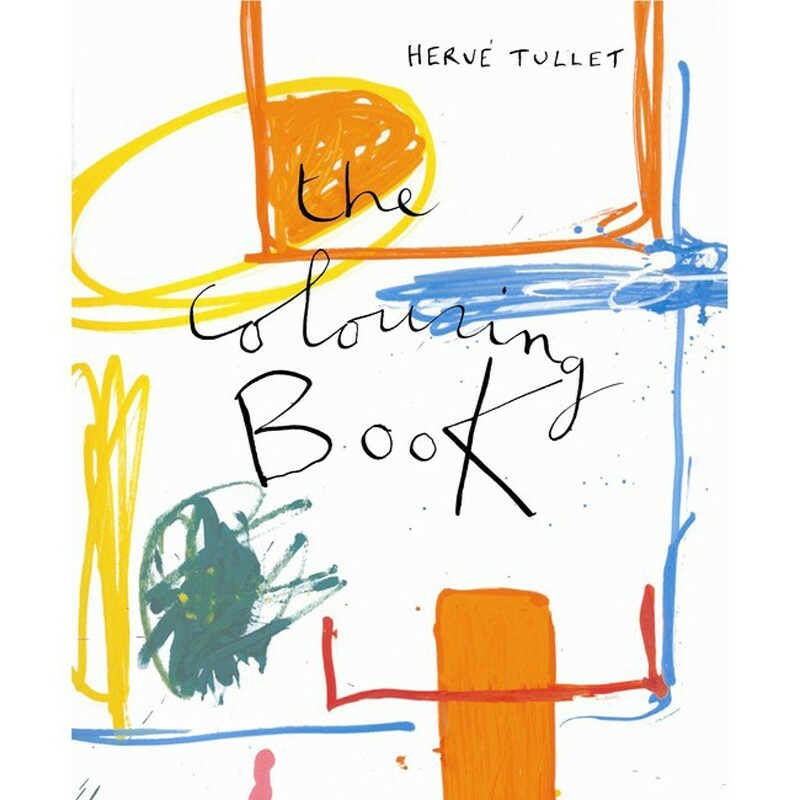 The Coloring Book by Hervé Tullet. Filled with big and bold lines, this book is filled with abstract shapes, curves, loops, superheroes, letters, patterns, flags, houses, and much more. Instructions on some pages ask the user to, “find and color in the word hello,” “draw colored circles around the black dots,” “color in what you like to eat,” and “what are the right colors for happy people… and for sad people?” Ages 3 and up. Visiting Grandma or vacationing in a city where kiddie equipment rentals are not readily available? Are you tired of just carrying too much stuff for your child when traveling? I’ve used Tots on the Go a couple of times while traveling and the service, selection, and quality of equipment is excellent. 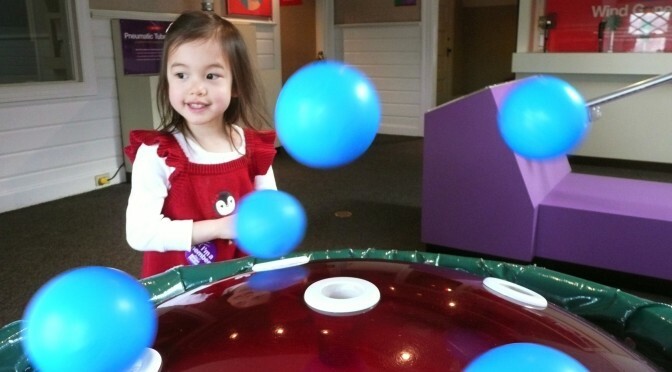 Tots on the Go is run by a Mompreneuer Ellie Venafro. The company provides local deliveries to Virginia, North Carolina, and South Carolina, in addition to shipping anywhere in the country. I had items shipped to our hotel and the day we were leaving, I dropped them off with a prepaid shipping label (provided by Tots on the Go) at a UPS (or sometimes the hotel will take care of the pick up for you). 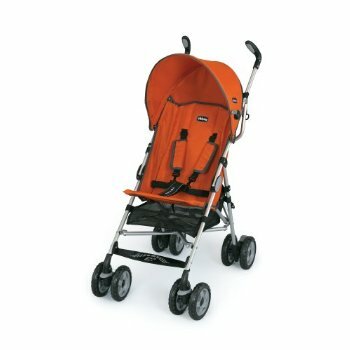 You can rent equipment such as strollers, car seats, booster seats, cribs, bed rails, baby carriers, bouncy seats, toys, high chairs and more for reasonable prices. It’s also a cheaper way to try out equipment you’ve had your eye on before buying. Traveling with your bundle of joy? Okay, so your little bundle of joy isn’t really all that little anymore and sometimes isn’t exactly joyful while traveling. We’ve taken our toddler/preschooler on a few airplane trips and these items have definitely come in handy. If you plan to bring your child’s car seat onto the airplane and have purchased a separate airplane seat for them, the Go-Go Kidz Travelmate is quite handy. This wheeled plate easily attaches to most car seats (we have the Britax Diplomat) and makes moving around at the airport a little easier. Read more about FAA travel guidelines and regulations for traveling with small children. Most kids find being wheeled around in their familiar car seat in the airport kind of fun and falling asleep is definitely easier in a well padded car seat than the regular airplane seat/Moms lap/balled up sweater combination. Note, you need to detach the Travelmate from the car seat before putting them both through the X-ray conveyor belt. So try to time the possible nap in the wheeled car seat appropriately. 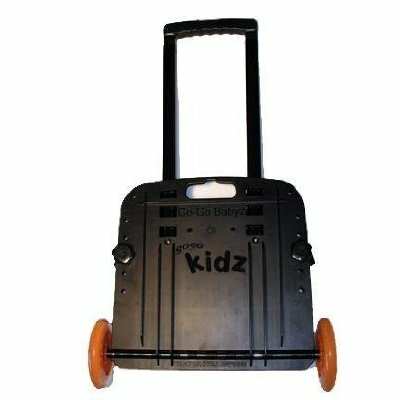 Full dimensions, product video, and features can be found on the Go-Go Kidz Travelmate web page (but buy through Amazon to save some money). Dependable and easy to use (even your child can open and close them), the Hefty One Zip bags are great for wet clothes (potty training anyone? ), snacks, holding crayons and other toy pieces you bring on board, wipes, and tissues. Make sure you bring extra gallon sized ones in your ever bulging carry on bag ready for the unexpected. Many kids like to look at pictures of themselves. We often load several hundred photos of our daughter onto a laptop and let it play in slideshow mode while on the plane. 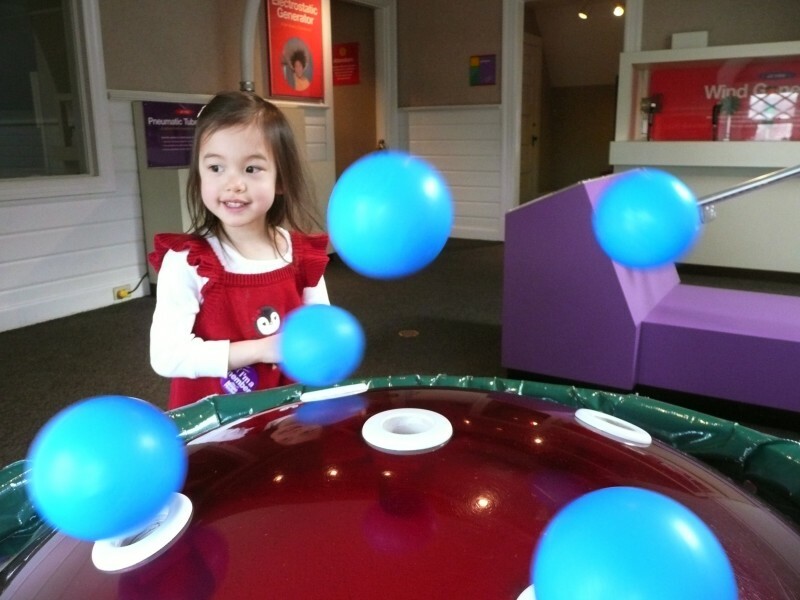 It is great for keeping your child occupied and offers some fun conversation starters. Sometimes including older photos of when your child as an infant is particularly fascinating to your little one. In order to help alleviate ear pain, always remember to have some juice or water in a sippy cup or cup with a straw available for take offs and landings. We also found offering favorite snacks (be sure to pace the snacks before take offs and landings so your child will actually be hungry) a good way to encourage swallowing and ear popping. Any of Dr. Sears’s fruit chew supplements also work well (the pineapple/mango ones are a bit sour though) to aid swallowing and of course have the added benefit of being nutritious. 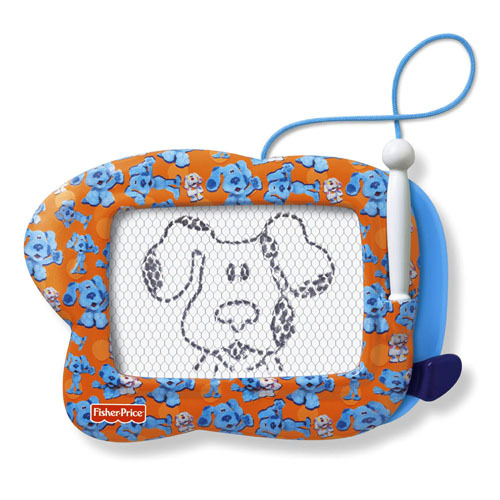 Not really sure why, but the Doodle Pro (the smaller sized version is easier for travel) can keep your toddler/preschooler occupied for more than 15 minutes! No mess and no crayons to drop, Fisher-Price has several different versions of this toy that can be used for alphabet, number, and vocabulary building in addition to drawing goofy portraits of Mommy and Daddy. Good prices on the Doodle Pro can be found at Target and sometimes Amazon.